In recent weeks, topics with potentially lasting implications for American small-satellite launch capabilities have come to the fore – a proposal to allow stored and unused government Intercontinental Ballistic Missiles (ICBMs) to enter and compete on the commercial launch marketplace, along with a U.S. Trade Representative review of the continuing ban on U.S. satellite launch aboard India’s Polar Satellite Launch Vehicle (PSLV). Both issues have garnered considerable attention from policymakers and space policy professionals, especially those involved with American companies developing small-satellite launch vehicles, and have prompted back-channel dialogues, dueling opinion pieces, a FAA advisory committee recommendation, and a hearing on the matter by the House Space Subcommittee. Significantly, the reactions to these topics are telling of how the United States’ commercial launch industry perceives its market prospects and demonstrative of the competing interests among different segments of the broader American commercial space industry. These discussions come at a time of convolution between multiple developments and market trends in commercial space. 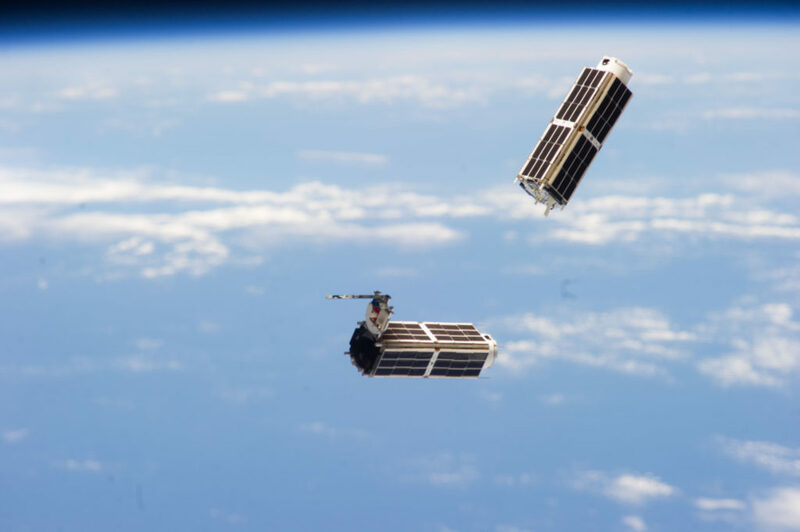 A non-geostationary small-satellite market, driven by substantial private capital investment and advancements in rapidly-produced small-scale hardware, is quickly emerging. Meanwhile, a number of U.S.-indigenous, dedicated small-satellite launch vehicles, similarly enabled by private investment, are entering their final stages of development. The crux of the issue for these industries, which has driven the debate and differences in interest, is the present-day lack of cost-competitive small-satellite launch platforms within the United States. In light of this gap in capability, the United States’ small-satellite manufacturers and operators, many of whom have plans to fly large constellations of Earth-observation, telecommunications, or data-relay craft, are seeking to utilize as soon as possible whatever launch platforms are currently available and cheaply accessible. The companies developing these small-satellite launch vehicles, meanwhile, hope to forestall the opening of their intended market to undercutting competition, lest their market prospects and the perceived need for American-developed commercial small-satellite launch platforms erode. Commercially-accessible ICBMs and non-restricted access to the PSLV would appear to offer American satellite companies the respite they desire while threatening the market prospects and perceived need of privately-developed small-satellite launchers. Such are the arguments issued by both sides of the industry in the continuing debate. Underlying this debate is a growing commercial space market and huge influx of private investment in commercial space activities. In 2015, the commercial space industry saw historic levels of private capital investment and growth. According to a Tauri Group study on the overall commercial space industry marketplace, more than 50 venture capital firms invested in space deals in 2015 – the most in any year during the 15-year study period. Crucially, these investments totaled $1.8 billion in venture capital, and nearly $2.7 billion in total investment and debt financing. It is this investment that is driving all segments of the industry. Companies working on existing small-satellite capabilities and constellations, such as Orbcomm, IridumNext, GlobalStar, O3B, PlanetLabs, Terra Bella, DigitalGlobe, and OneWeb, among others, expect to fly at a comparably higher rates than years past. Meanwhile, several proposals for the development of large small-satellite constellations comprising of hundreds or even thousands of satellites to LEO are in the works, with the companies issuing them hoping to fly within the coming years. Yet these plans are forestalled by a marked lack of cheap and available small- to medium-class launchers, which are best suited for small-satellite launch. The currently operational American launch vehicles similar to this class are in the Minotaur family, with the commercial Minotaur-C costing at least $40 million per launch. The Pegasus XL, the only operational dedicated U.S. small-satellite launcher, can send up to 1000 lb. to LEO at costs upwards of $40 million per launch. 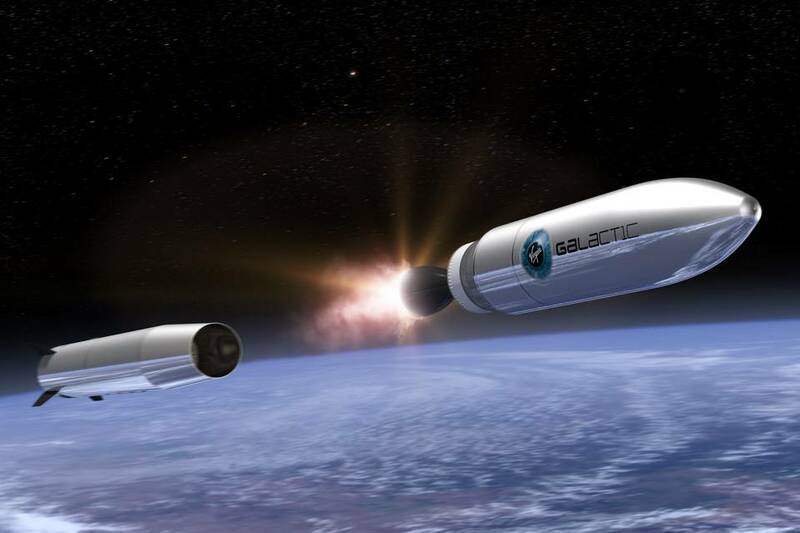 The market has responded to these constraints through ‘ride-sharing,’ the bundling of small-satellites as secondary payloads on launch vehicles designed for much larger satellites. While ride-sharing offers small-satellite companies a ride to orbit, it comes with significant trade-offs and is therefore not their optimal nor preferred approach. These companies must align their launch schedules with the primary customers, are usually forced to go to the orbit of the primary payload, and are considered secondary to the needs and desires of the primary customers. This has forced small-satellite companies to defer or alter their constellation plans, with some privately suggesting that they may not be able to sustain business operations unless dedicated small-satellite launchers become available in short time. However, in the meantime and in response to this gap in capability, some American companies are deep into development of dedicated small-satellite launch vehicles. This development is driven by the broader launch industry’s meteoric growth, similarly powered by hundreds of millions of dollars of private investment and government contracts. 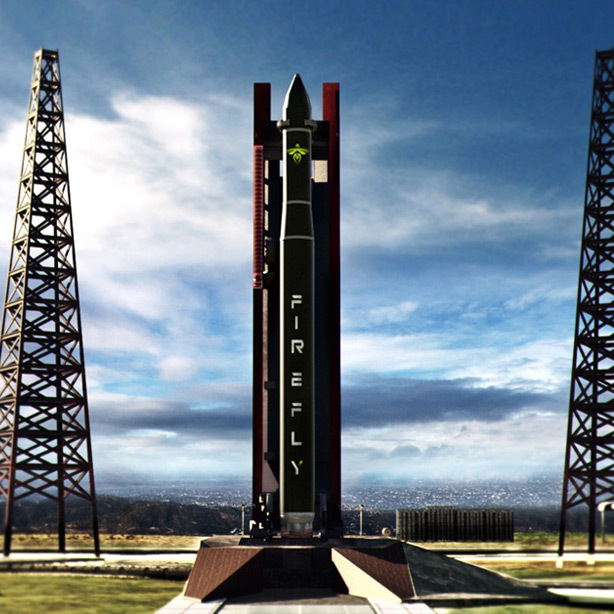 Through a coupling of private investment and NASA’s Venture Class Launch Services contracts, Virgin Galactic is building Launcher One, Rocket Labs USA is constructing the Electron Launcher, and Firefly is working on its Alpha vehicle. According to the FAA’s Commercial Space Transportation Advisory Committee, these vehicles should be operational by 2017, and must be operational by 2019 at latest to satisfy the requirements of NASA’s contract. Herein enters the issues of the PSLV and ICBM rocket motors. Both are launch platforms suited for the needs of the small-satellite industry and both seem poised to readily compete with the American vehicles still under development. 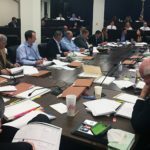 The debate over the PSLV revolves around a U.S. Trade Representative review of a lasting ban on U.S. satellite use of the PSLV. The ban dates to a Commercial Space Launch Agreement (CSLA) in 2005. CSLAs are the United States government’s method for protecting the U.S. launch industry from competing government-controlled foreign launchers – such as the PSVL, which is operated by Antrix Corporation Ltd., the commercial arm of the Indian space program. 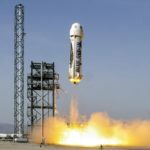 These agreements set American commercial launch prices as the minimum for government-owned, non-U.S. launch providers. India has, to date, refused to sign the CSLA, leading the U.S. government to issue its ban. The impetus for this CSLA, once known as the “SpaceX Agreement,” was SpaceX’s introduction of the Falcon 1 rocket – which, designed for small-satellite launches, provided the capacity and capabilities desired by the U.S. small-satellite market. Yet SpaceX discarded the Falcon 1 when it moved to the larger Falcon 9 in 2009, leaving a hole in U.S. small-satellite launch capability. While the United States government can and does issue waivers to satellite companies allowing them a ride on the PSLV, it is nonetheless not at a rate desired and deemed necessary by the U.S. small-satellite industry. This, along with the significantly cost-effective price of a PSLV launch, has prompted a U.S. Trade Representative review of whether India’s refusal to sign the CSLA continues to warrant the ban. In response, the Commercial Space Transportation Advisory Committee, which advises the FAA and whose membership is comprised predominately of launch providers, issued a recommendation that U.S. satellites continue to be barred from the PSLV, concluding that “[Allowing] India’s state-owned and controlled launch providers to compete with U.S. companies runs counter to many national policies and undermines the work that has been done by government and industry to ensure the health of the U.S. space launch industrial bases.” On February 26, the Federal Aviation Administration announced its agreement with the COMSTAC’s recommendation, signaling that this opinion would be taken into consideration during the review. At the writing of this piece, the review continues. A primary argument of the launch companies is that lifting the ban on the PSLV will enable foreign government-subsidized vehicles to compete against American commerce. The Antrix Corporation is mainly an administrative agent of India’s national space agency, the Indian Space Research Organization (ISRO). ISRO provides the technical operations supporting Antrix’s commercial launches. The PSLV was developed as an ISRO program, and the profits made off commercial launch feeds back into India’s space budget. This does constitute government subsidy of the Indian launch market; in contrast, the American companies developing small launch vehicles have done so largely through private investment, with NASA purchasing their services through fixed-price contracts. Of course, those issuing counter-arguments to the preservation of the ban note that the United States does not hold such bans against use of equivalent and similarly-subsidized Russian, European, or Japanese launch vehicles, such as the Dnepr, Vega, and Epsilon. According to the FAA Compendium of Commercial Space Transportation, the Dnepr is a medium-class vehicle suited for bundled launch of small-satellites at prices around $29 million. The Epsilon is specifically suited for small payloads at launch prices starting at $39 million. The Vega is a small-class vehicle launching at costs of $39 million. Yet the PSLV is a substantially cheaper platform with more expansive capabilities than most of its competition. It is capable of launching up to 7,165lb to LEO, enabling substantial bundling of small-satellites for constellation deployment, and is capable of small-satellite launch to GTO and SSO as well. 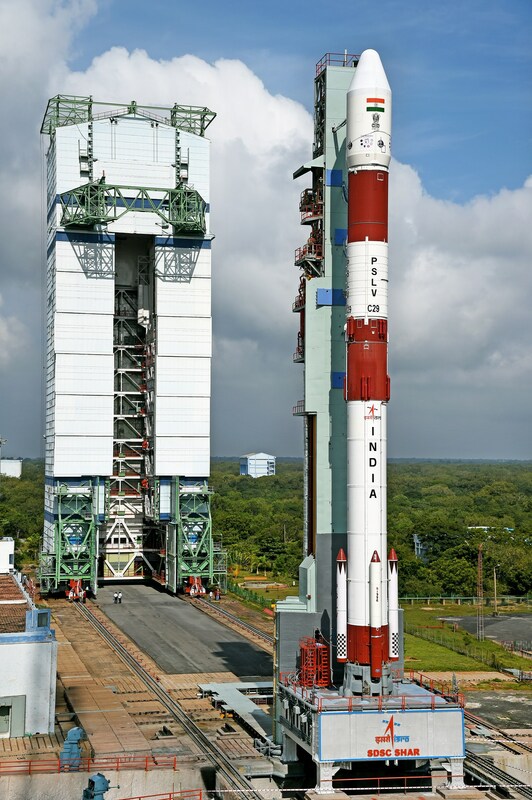 The price for a launch aboard the PSLV runs around $33 million. The concern of the United States’ small-satellite launch companies is that, with these foreign assets available for use today, American satellite companies would flood to those markets in order to deploy their constellations in short enough time to sustain their business case – thereby risking the substantial investment that has gone into the development of indigenous American small-satellite capabilities. In essence, their argument is that protectionism is necessary in order to preserve the market for their eventual entrance. Even if other current-day, foreign government-subsidized launch vehicles don’t have bans on their use, their launch costs are evidently high enough to dissuade frequent American satellite launch. On the other hand, the PSLV, in the eyes of small-class launch companies, is marketable enough to present serious undercutting competition that could wreck the United States’ small-satellite launch competitiveness. Resolution of the issue has been deferred for now as the U.S. Trade Representative completes its review of the ban. Yet, even assuming the ban stays, American small launch providers are still not clear of potentially undercutting competition. A recent proposal making its way through Congress has called for excess U.S. Air Force Minuteman and Peacekeeper ICBMs to enter the commercial launch market, upending established U.S. space policy precedent that prohibits competition on the commercial market using spare government launch assets. The rationale behind this proposal is simple – the U.S. Air Force is currently in possession of over 1,000 excess ICBMs, which require annual maintenance, testing, and surveillance at a cost upwards of $10 million annually. These vehicles, should they remain unused within the government’s inventory, will eventually degrade to a point necessitating disposal – a process which, by virtue of the hazardous process required to handle the materials within them, will cost multiple more tens of millions of dollars. Selling these ICBMs to American launch providers for use on the commercial market will, the argument goes, significantly defray governments costs and enable meaningful use of otherwise ‘wasted’ assets. Significantly, these ICBMs, as small- to medium-class launchers, would fill the market need for dedicated small-satellite launch vehicles. This standing policy was derived from past negative experience with government-subsidized launch services for commercial satellites. The Space Shuttle launch model, in which NASA’s launch vehicle provided lift for commercial space assets, was regarded as a failure. In 1980, the United States dominated the commercial launch market with nearly 100% market share. By 2010, the American share of the market had collapsed to nearly 0%, largely due to use of the Shuttle and price non-competitiveness from existing U.S. providers relative to foreign competition. It was not until SpaceX’s entry into the market, coupled with the growth of other innovative American launch providers, that this market trend was reversed, with the United States holding 60% share of the launch market at the start of 2016. Those advocating for the change seek to purchase the ICBM rocket motors at a substantial discount or simply have them supplied as Government Furnished Equipment, which has prompted rumblings of deep concern among American launch providers. While existing commercial small-satellite launchers derived from converted ICBMs, such as Orbital ATK’s Minotaur-C, sell for upwards of $40 million and are therefore significantly non-competitive, the use of furnished solid motors could substantially drive prices down. Of equal concern is that, at present, there are only 3 companies that have the standing technologies and expertise to readily use these motors ‘off-the-shelf:’ Lockheed and L3 for targets and Orbital ATK for launchers. To that end, selling these motors on the commercial marketplace, according to some, would leave Orbital ATK with an immediate de-facto monopoly on the market. 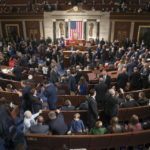 The proposal is presently working its way through Congress, where it is facing some opposition. 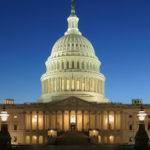 On April 19, the House Subcommittee on Space held a hearing on the issue entitled “The Commercial Space Launch Industry: Small Satellite Opportunities and Challenges.” No witnesses spoke in explicit favor the proposal while no members issued or implied strong support for it. Yet the matter is far from over; the hearing signals only the beginning of dialogue and debate in Congress over the merits and consequences of a policy change on the use of ballistic missile assets, and back-channel discussions both in favor of and opposed to the proposal continue. Where one stands on the issues of India and commercially-available ICBMs depends on their perspective of what best serves the commercial space industry in the United States – supporting the satellite industry or fostering American launch capabilities, free-trade or protectionism. Both the satellite industry and the small-satellite launch industry have issued valid arguments in favor of their position, and no clear win-win exists that would satisfy both industries interests. A conclusion to draw from the debate surrounding these issues is that the various subsets of American commercial space are witnessing a divergence in their interests and desired approach to fulfilling their needs. This is not a bad sign; rather, it is indicative of broad market growth in which there are unfulfilled needs that need to be met. While the current lack of capabilities may cause present-day harm for some in the industry, it also provides an opening for even further growth in investment and capabilities in the years to come. More telling is that, per the vocal argument issued on their part, the United States’ small-satellite launch industry has concerns about their market prospects in the face of other readily available foreign and domestic assets. Until their vehicles reach operational status in the coming year or two, these companies are hoping to keep the gap in small-satellite launch capabilities unfilled so they can enter the market without risk of competition. This author stands on the side of the small-launch industry. The rapid development of American launch capabilities has enabled the United States’ to recapture leadership in the commercial space market and has brought about innovative new approaches which hold the promise of substantially driving down costs. In the end, the developments of the launch-side of commercial space will abet an increased ease-of-access for the satellite industry and foster an expanded array of space assets and applications. While a gap in small-launch capability has persisted for longer than what satellite companies have premised their business cases around, the launch industry is actively responding to those needs. 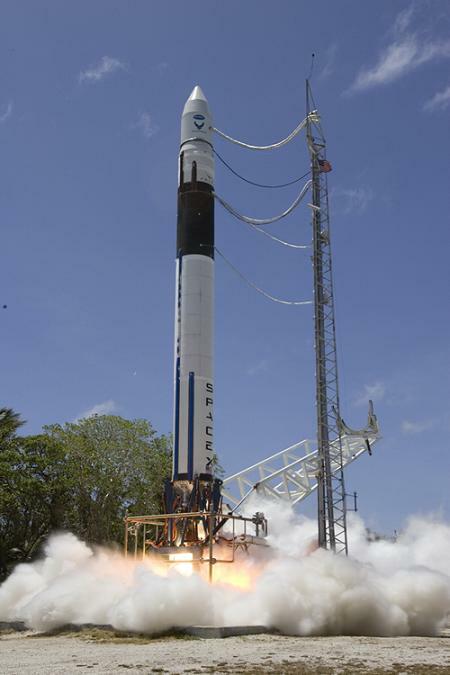 To enable undercutting and government-subsidized competition to these privately-funded companies now, when their vehicles in development are only a year or two away from operational status, could lay waste to substantial private investment, call into question the need for indigenous small-satellite launch capabilities, and seriously threaten the United States’ continued capturing of greater share of the global commercial launch market. Until these vehicles reach operational status, the United States government can and should continue to issue case-by-case waivers to small-satellite companies for rides aboard the PSLV. While not an optimal solution, it is a temporary one – doing so would provide the satellite industry enough breathing room to wait-out the year it takes for suitable American capabilities to come online. On the matter of ICBMs, the constant reaffirmation of 30 years of U.S. commercial launch policy, regulatory stability, and pro-growth policies have fostered a healthy development of U.S. commercial launch service providers. 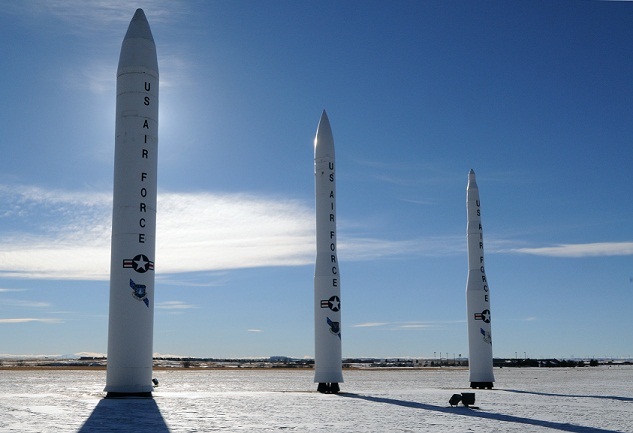 The ban on ICBM use on the commercial marketplace has enabled private entities to engage in development of small-, medium- and large-class vehicles. The U.S. commercial launch industry has made significant progress in competitiveness and innovation over the past two years, in large part because of a lack of government-subsidized competition. With the government ‘picking winners and losers’ in the commercial launch marketplace through sudden policy changes and the enabling of commercial monopolies through selling-off of assets, a strong signal is sent to investors that their investments may not be safe or sound. This would result in a weaker U.S. industrial base, less innovative approaches from start-up companies, and fewer new technologies to abet expanded use and application of space. A marginal cost savings to the United States government is not worth the irreparable harm it’d cause to the U.S. commercial launch industry, an industry that is bringing about high-tech, high-paying jobs, enhancing U.S. national security, and bringing humanity one step closer to the space frontier.